Skye Gravestones | Jonathan & Mary (Munro) Macdonald & sona. Jonathan & Mary (Munro) Macdonald & sona. 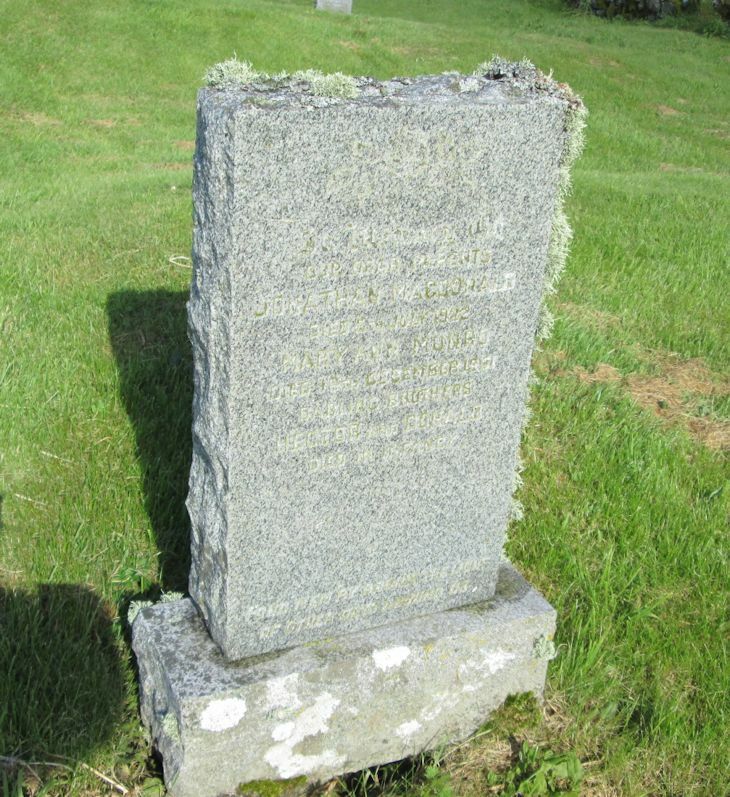 In memory of/our dear parents/JONATHAN MACDONALD/died 5th July 1922/MARY ANN MUNRO/died 16th December 1951/darling brothers/HECTOR and DONALD/died in infancy. Fond memory brings the light/of other days around us.